Free subscriptions for under 30's to join London Concord Singers for a term. This term we have an exciting new opportunity to join us in performing Schnittke's Choral Concerto, in which we will be collaborating with East London Chorus. We will also be performing Bruckner's magnificent motets, Locus Iste, Os Justi. If you are interested in being a part of this project, please contact us via info@londonconcordsingers.org.uk. Alfred Schnittke's Choir Concerto (Concerto for Mixed Chorus) is one of the choral masterpieces of the 20th century. An extended setting of words from 'The Book of Lamentations' by the Armenian monk Grigor Narekatsi (951-1003), it was written in 1984/5 and scored for a very large choir. 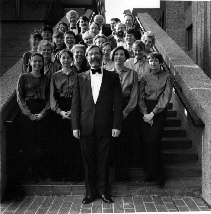 London Concord Singers has performed the work three times before (in 1994, 1999 and 2008), and in fact were the first amateur choir in the UK to perform it. For this performance, London Concord Singers will be joining forces with one of Jessica Norton's other choirs, the East London Chorus, to perform the work at St Pancras Church, London on Saturday 13 April 2019. BUY TICKETS ON-LINE at EventBrite. To mark Jessica Norton's third anniversary as musical director of London Concord Singers, the choir is presenting celebratory 2018/19 season, the centrepiece of the season will be Songs of Devotion, a performance on Saturday 13 April 2019, at St Pancras Parish Church, of Alfred Schnittke's stupendous Choir Concerto, which will be sung in collaboration with another of Jessica Norton's choirs, the East London Chorus. For Summer 2019, London Concord Singers' focus story telling with contemporary works by Robert Hugill, Jessica Norton and Bob Chilcott plus music by Elizabeth Maconchy. The season started with an Advent concert in December 2018 which featured Arnold Bax's Mater Ora Filium as centrepiece. London Concord Singers' Summer 2019 concert will feature story telling as its theme, with a programme which will include Robert Hugill's The Black Dragon, a science-fantasy inspired piece which was commissioned by members of the choir to celebrate the millennium in 2000. 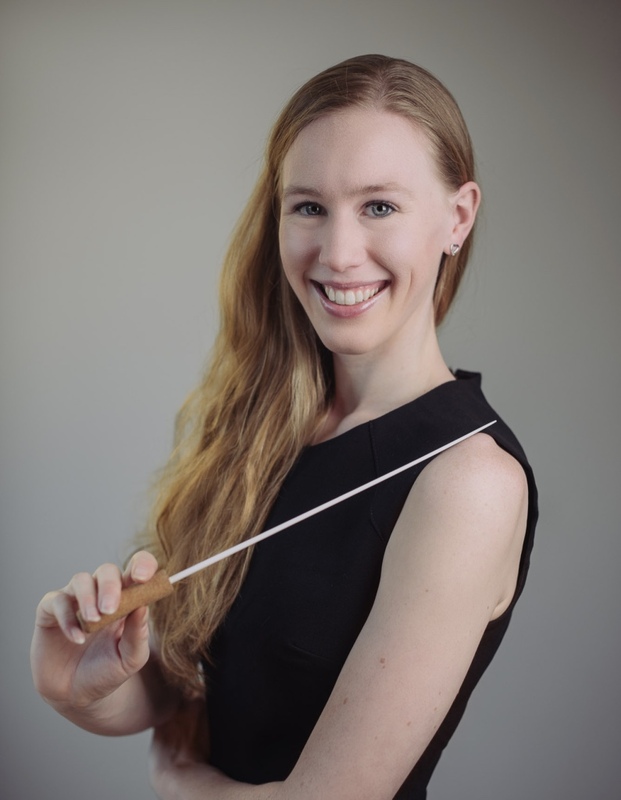 Jessica Norton will also be writing a new piece for the choir, and the programme will be completed with Bob Chilcott's Aesop's Fables and Elizabeth Maconchy's Creatures. Full details of all our concerts from the Concerts page. London Concord Singers has vacancies in all voices. We are a friendly chamber choir with an eclectic repertoire from Josquin to contemporary music, and rehearse on Monday evenings in the Clerkenwell/Smithfield. Rehearsals take place on Monday evenings. Just email info@londonconcordsingers.org.uk for more details and we look forward to welcoming you. You can get a taster of our rehearsals with a lovely video which film-maker Laura Ruiz created, it is available on Vimeo. Our Summer programme, Hear Her Voice, celebrated the centenary of Women's suffrage with a programme of music by female composers ranging from Hildegard of Bingen, through Clara Schumann and Fanny Mendelssohn, to Elizabeth Maconchy, Grace Williams and Thea Musgrave, plus a new piece by our musical director Jessica Norton and Lucy Pankhurst's The Pankhurst Anthem commissioned by the BBC to celebrate the centenary. We gave the concert in London on Thursday 12 July 2018 at the church of St Bartholomew the Less and in Ely on Saturday 14 July 2018 in the Lady Chapel of Ely Cathedral. Last Summer we made a most successful tour to the Netherlands, singing in Haren (Groningen) and Beetsterzwaag. You can see pictures from the tour on our Facebook page. The programme included Victoria's Missa O Quam Gloriosum, James MacMillan's O Radiant Dawn, plus motets by Bruckner, Durufle, Brahms, Hassler, Rameau & Poulenc. Our Easter concert, on Wednesday 23 March 2016 at the Church of St Botolph without Bishopsgate was reviewed by Michael Gray for RemoteGoat.com (the review is also available on Michael Gray's blog). 'A much more joyful Hallelujah at the end of the journey: Handel's setting sounding fresh and clear in this a cappella performance � a splendid climax to a typically eclectic programme'. Keep in Touch - Join our Mailing List: Like to know more? If you would like to keep in touch so we can let you know about concerts and future plans then please please join our free mailing list. You can use our On-line Form to join, or just email your Name & address to us at info@londonconcordsingers.org.uk. You can also visit our Facebook Page to keep up to date. 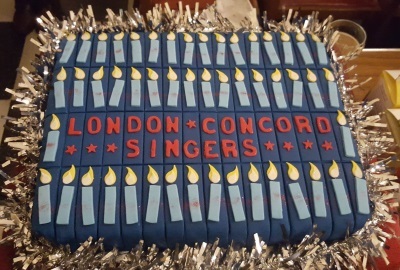 About Us: London Concord Singers is an award-winning chamber choir of about 30 mixed voices, based in central London, with a broad-ranging repertoire. The choir was founded in 1966 by the conductor, Malcolm Cottle. The choir became a registered charity in 1996. London Concord Singers has given a number of world, UK and London premieres of works by composers such as John Rutter, Andrzej Panufnik, Richard Rodney Bennett, John McCabe, Kenneth Leighton and Michael Ball, as well as pieces specially written for the choir. 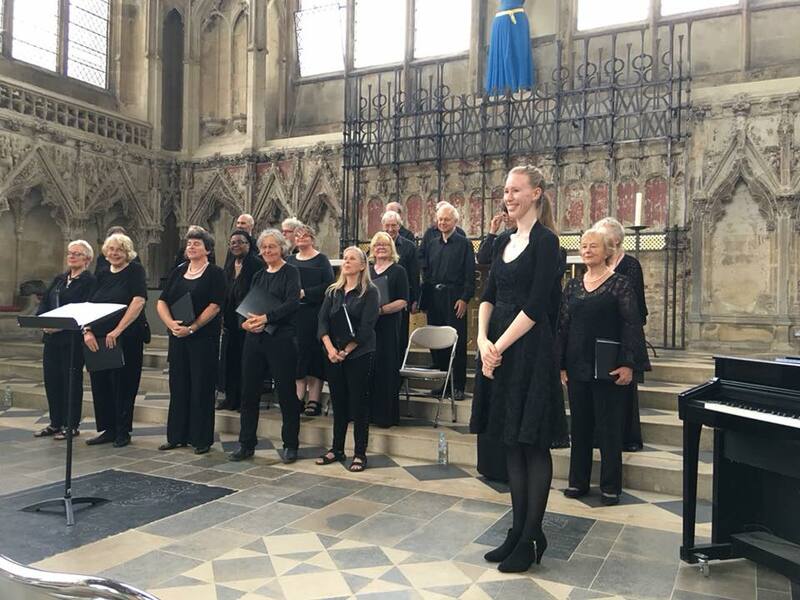 The choir has also given performances of major contemporary pieces such as Alfred Schnittke�s Choral Concerto and Malcolm Williamson�s Requiem for a Tribe Brother. In its 40 year history the choir has performed all of the unaccompanied choral music of Francis Poulenc. Photo Gallery: Photos from our concert on 21 March 2013 at St Michael's Cornhill, taken by Joshua Hayes.